Kenya’s 2013 general election was the first to be held since the violence following the 2007 election led to more than 1,000 deaths and hundreds of thousands of people being forced from their homes. There was real anxiety that violence would recur if the ballot didn’t appear to be peaceful, free and fair. Electoral changes complicated things further with six ballots to be held on the same day, electing representatives for all levels. The 2007 election had been marked by hate speech, and the media reacted by avoiding sensitive issues in 2013, which limited the ability of people to hold their politicians to account. BBC Media Action’s challenge was to help voters to understand these electoral changes and to provide a space where the big issues could be discussed in an inclusive and peaceful manner. This also meant providing public opportunities for people in urban centres and rural areas to hold politicians to account. We designed and delivered Sema Kenya (Kenya Speaks) – a national TV and radio discussion show – combining with a mentoring programme for six local radio stations, and the national broadcaster Kenya Broadcasting Corporation (KBC). Sema Kenya gave the public the opportunity to debate the big issues with officials and politicians with millions tuning in to witness the discussions. Broadcast weekly for three seasons on TV and radio, it was recorded in locations across Kenya from 2012 until 2014. To be inclusive, it was critical that the programme was produced in Kiswahili, Kenya’s national language. It was presented by Joseph Warungu, former head of the BBC’s African news and current affairs. 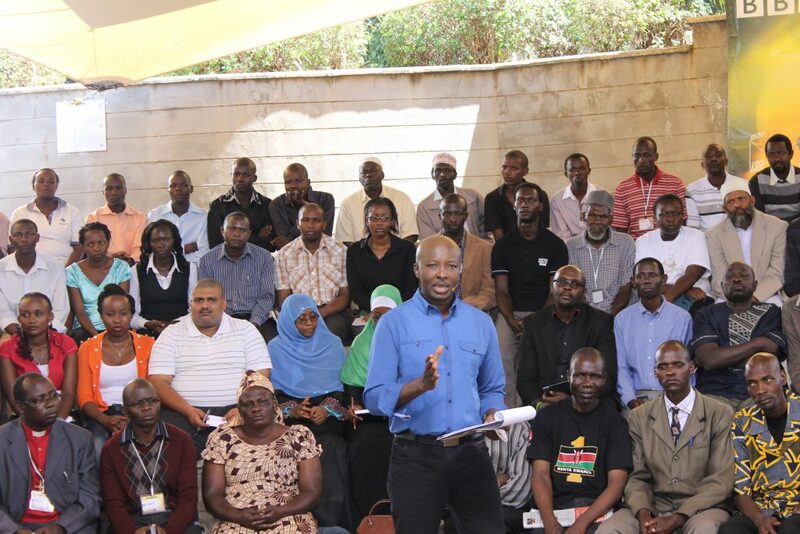 The programmes debated public security, unemployment, ethnicity, women’s rights and land reform, among other things. Traditionally taboo subjects, such as alcoholism, were also on the agenda. 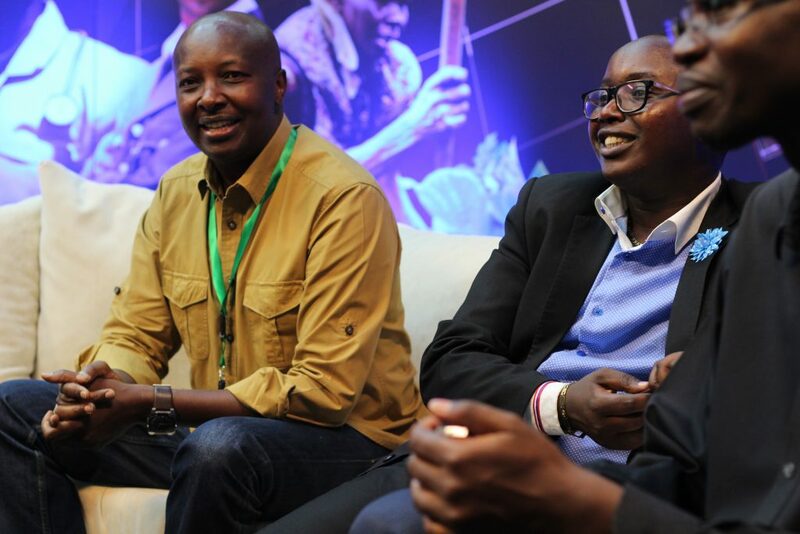 Supported by broadcast partners across Kenya’s 47 counties, Sema Kenya was watched by over 12.7 million Kenyans and kept a loyal audience for its three seasons. Over 5.7 million watched in 2013, an election year. On air since 2004, Story Story is a radio drama that aims to increase Nigerians’ awareness of their rights and responsibilities and how they can hold government to account. From its very beginning it has set out to stimulate debate and more recently has also encouraged the use of dialogue to settle conflicts. Focusing on themes such as education, electricity, water and roads, Story Story explores how people can be involved in public decisions that affect their own lives – through participation in public petitions, legal protest or discussion with decision makers. It is broadcast on over 120 partner stations in Nigeria and by the BBC World Service, reaching audiences throughout sub-Saharan Africa. The choice of language is critical for the drama and characters to be authentic, as the wrong dialect or tone can immediately distance audiences and make a negative impact. 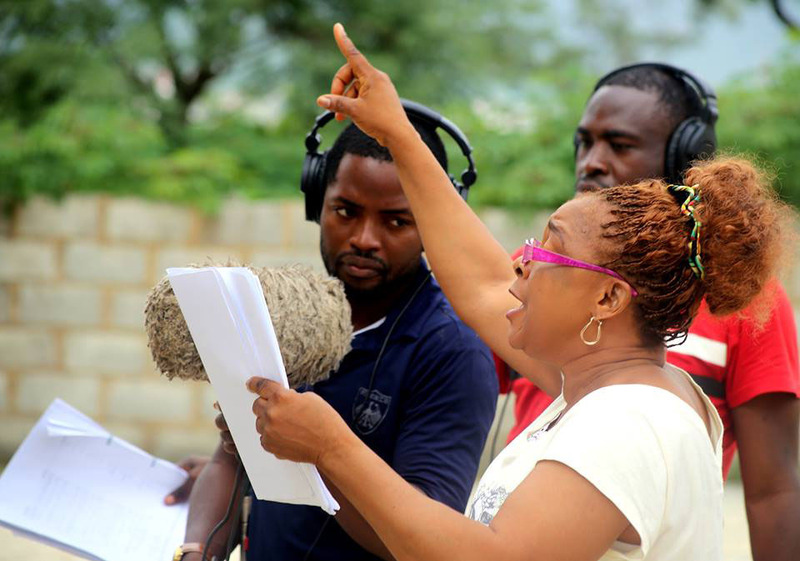 So Story Story is broadcast in Pidgin English – widely spoken across the region – and features a range of Nigerian and West African accents. A sister radio drama, Gatanan Gatanan Ku (Telling a Story) is modelled on Story Story but broadcast in Hausa. Set in the heart of West Africa, in a busy, fictional market with a motor-park next door, the drama’s characters include traders, farmers, people with money and power and those without, who live by, work in and/or use the market. The audience is drawn into the drama through engaging plot lines full of crime, romantic entanglements, and local political intrigue. 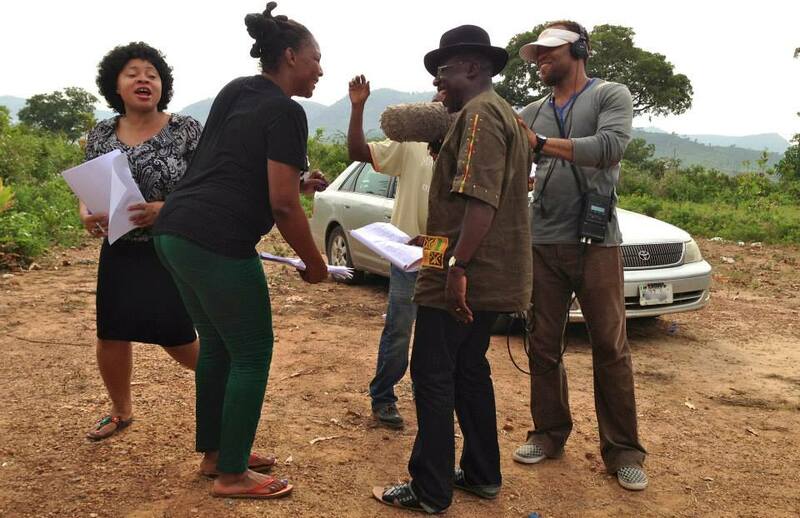 Made by Nigerians for Nigerians, the drama is recorded on location in Abuja to ensure its famous, rich sound is recognisably ‘real’ and fresh. One storyline followed the community as it succeeded in getting the local government budget to reflect their needs. It was a tough struggle – the community had to organise themselves, then overcome opposition from entrenched bureaucracy, and finally contend with corrupt elements within the government who wanted to include pet projects and loot public funds. Story Story is a long lasting success story, broadcasting weekly on over 120 Nigerian radio stations. Story Story was tuned into by an estimated 21.2 million Nigerians in 2016 – a full 20% of the adult population. More than four-fifths (84%) of Story Story listeners reported an improved knowledge as a result of listening to the drama. Our research also showed the drama’s characters inspired listeners to stand up for their rights, using dialogue and peaceful protest. On air since 2004, Story Story is a radio drama that aims to increase Nigerians’ awareness of their rights and responsibilities as citizens and how they can hold government to account. From its very beginning it has set out to stimulate debate and more recently has also encouraged the use of dialogue to settle conflicts. Set in the heart of West Africa, in a busy, fictional market next to a motor-park , Story Story’s characters include traders, farmers, people with money and power and those without, who live by, work in and/or use the market. The audience is drawn into the drama by engaging plotlines full of crime, romantic entanglements, and local political intrigue. 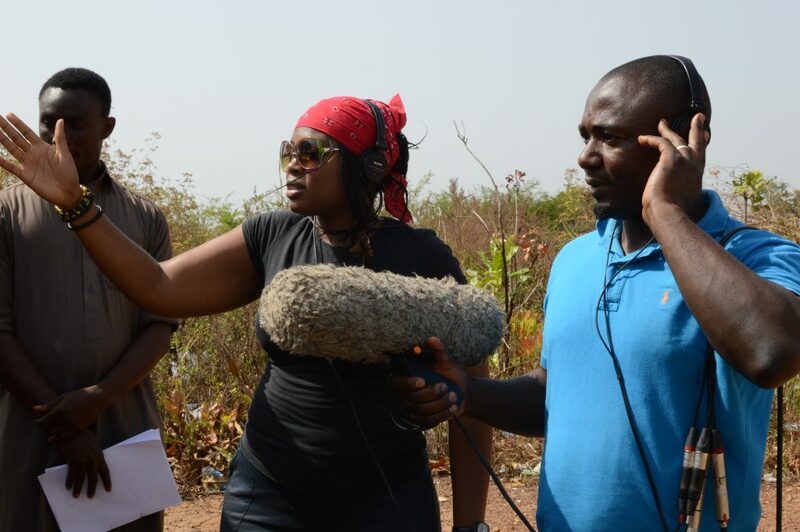 Made by Nigerians for Nigerians, the drama is recorded on location around Abuja to ensure its famous, rich sound stands out as ‘real’ and fresh. One storyline followed the community as it succeeded in getting the local government budget to reflect their needs. It was a tough struggle – the community had to organise itself, then overcome opposition from entrenched bureaucracy, and finally contend with corrupt elements within the government who wanted to include pet projects and loot public funds. Since the end of 2011, after the fall of the Gaddafi regime, BBC Media Action has been working to help improve Libyans’ access to information, and to encourage debate and public participation in the country’s transition. At a time when the country’s media were collapsing or being taken over by different political and armed groups, the challenge was to provide reliable information and a forum for dialogue, making good use of new, digital opportunities. We set up El Kul in 2015, an online platform across Facebook and YouTube. In response to the deteriorating political situation, El Kul (For Everyone), is a training project for media trainees, which creates news and information programmes. El Kul’s primary audience is young Libyans and those under-represented by the media, that is to say young women, minority groups and those with disabilities. Its content is on numbers of platforms bridging the divisions between the different political camps in Libya, and giving an impartial and trustworthy voice to all Libyans. 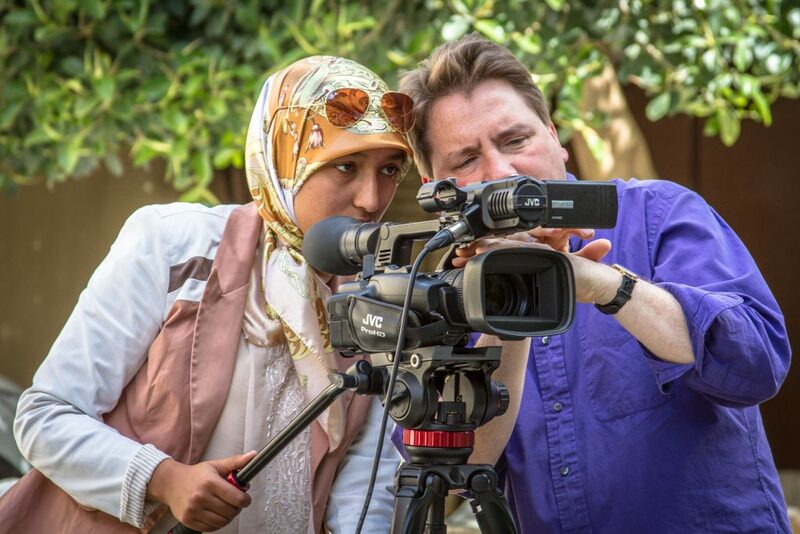 El Kul provides training in journalism and production skills. Trainees gain skills to produce balanced, fair reporting on stories of interest to Libyans everywhere. They are trained in editorial and technical skills by a core team of experienced Libyan, Tunisian and international staff based in Tunis. A network of graduates work on the programme and continue to be mentored by BBC Media Action. El Kul has 16 staff and eight trainees, plus graduate trainee correspondents and alumni trainees embedded in the core team. The content is rich and varied eg ranging from interviews with the president of the Libyan Football Federation, to covering World Poetry Day, and holding discussions on young people and migration. The El Kul Facebook page, ranking in Libya’s top five most active sites, provides a space for voices and viewpoints from all sections of society. By March 2017, El Kul will had trained over 120 journalists and producers, including over 40 women, and more than 36 from civil society organisations. The Facebook page has on average 765,000 users each week, with 45% of them female – an impressive percentage given that most internet users are male in Libya. Achieving gender balance in media is often challenging, but you can learn more about how we do this with El Kul and other projects here. Users of El Kul were consulted through telephone surveys and an online survey on the Facebook page. Results show there is a high level of trust in El Kul’s output, with 84% of people saying the El Kul Facebook page featured ‘credible and impartial information’. The reasons included how the content was backed up by evidence from a variety of sources. These users had a negative opinion of other Libyan media, criticising the media’s role in fuelling Libya’s tensions and conflict. They thought El Kul was “different” and some wanted El Kul to be become “as big as possible”. Our research highlights that the project has achieved its aim of addressing a gap in provision, and raising the quality of Libyan media which usually is seen negatively eg “being politicised”, “biased” or simply, “very bad”. Users appreciated the diverse topics and points of views featured on El Kul, including the coverage of individuals across regions and people usually excluded by existing media. Featuring people from other areas and backgrounds is even more necessary in times of conflict, when individuals are less likely to meet a variety of people and when society can become fractured. El Kul enabled users to “Feel like Libya is united and that we are all equal in all cities,” male user, Misrata. When I see information uploaded on El Kul, I know that it is not a lie or just an internet rumour but a real fact” Male, Tripoli. Libya Gumma a trainee editor blogs about her experiences. El Kul has 16 staff and eight trainees, plus graduate trainee correspondents and alumni trainees embedded in the core team. The content is rich and varied e.g ranging from interviews with the president of the Libyan Football Federation, to covering World Poetry Day, and holding discussions on young people and migration.